1) Preheat salt block. 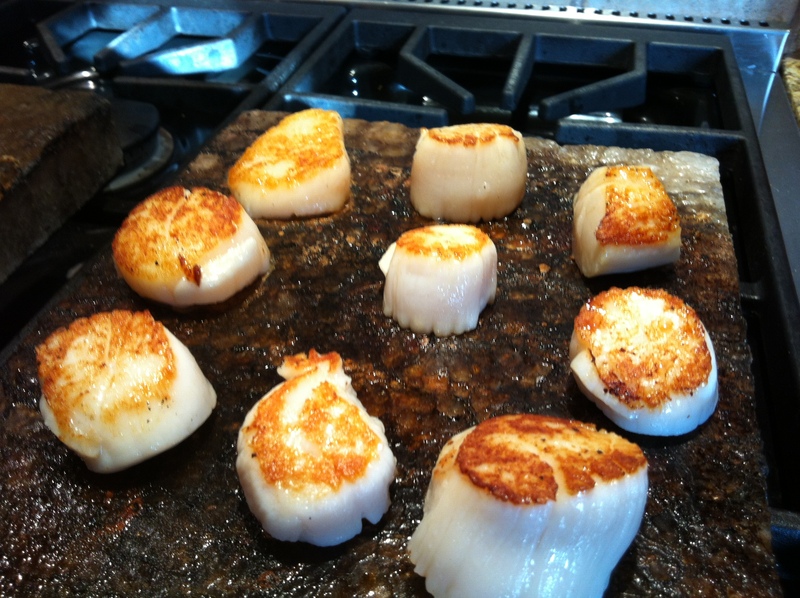 Place on grill or stove top. Turn burner to low and let sit 15 minutes. Then turn burner to medium and let sit another 15 minutes. Finally turn burner to high and let sit 15 minutes. Salt Block will be ready when you can not hold your hand 1 1/2 inches over block. 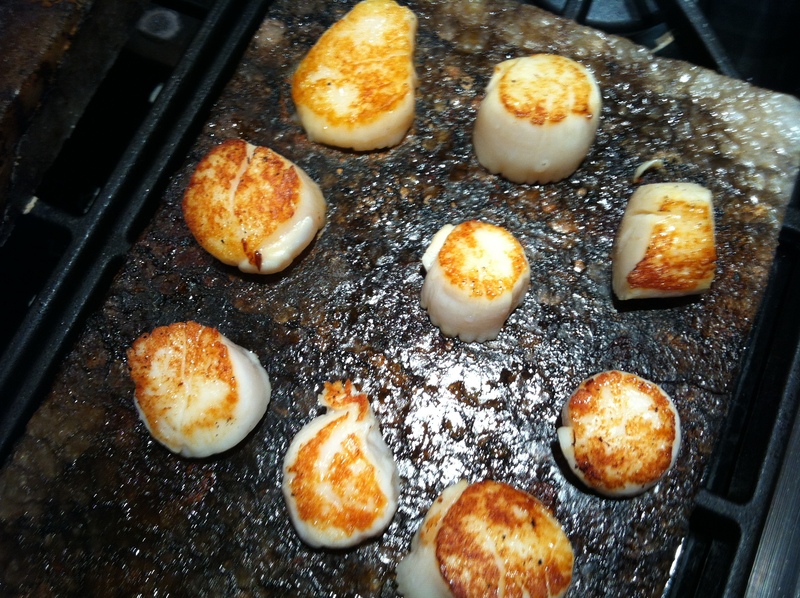 2) brush scallops with oil and place on salt block. Sear 5 minutes a side.